There seems to be a bug that allows people to use an explosive spell on any block ID and it will drop the base of the ID, removing any 'sub-id' (The ID after the colon) from the block. I'm on the latest ICBM version (Build 109) and NEI does not appear to render all the items from the mod, but all other mods work. Some items will render correctly in NEI, but some won't. They appear fine when placed into my inventory though. Is there another mod similar to this? We found the problem, or we think we did. It was a massive oil spawn by Buildcraft and, upon removing it, it reduced the bandwidth usage to 30-64Kbps. I run a modded Minecraft server of about 68 mods (See: http://www.cublikefoot.com/cubcraft/mod-list/). Lately, the spawn area in the overworld sends about 1Mbps, which makes some of our members unable to play in the area. In other dimensions, or in the wild, it is around 30-60Kbps. A lot of my users are complaining about it. One member, GregoriusT, using debug mode, said that the packets causing the massive bandwidth use is vanilla Minecraft, but I question this. Any help would be appreciated. I was looking through the IC2 Compressor recipes, and I think it was like page 67, when I got this. A user on my server killed the server by wrenching his ME drive with an OmniWrench. i'm going to assume you are also using another mod, have you tried changing their ids? and which mod is having this conflict? Yes, the mod is BetterDungeons. 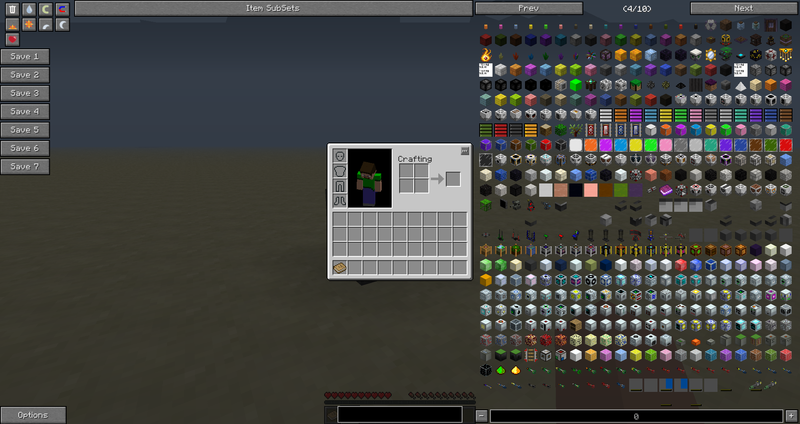 BetterDungeons has a config for its entity ID's, and I've tried several, which are already being used. EDIT: I assigned BetterDungeons entity ID's to 130-155. There is now only one conflict, and it is with DivineRPG and entity ID 3, whatever that may be. EDIT2: I still crash with an entity error, I'll see what I can do. Two minefactory machines are VERY buggy. Edit : With some testing i could get that only some kind of items can be duped. Place any safari net (with any mob) , feed some energy and it will spawn that mob... allowing a energy-consuming spawner. The bug is that it doesn't require any mob essence. What do you use to record your videos? Do you render them, what program do you use to combine them? What file format do you upload your videos in? We can give you a 2.5 GB VPS server for only $20/mo. We provide both Live Chat support, Skype support, and ticket support. That's cheap! Also, Skype support? Awesome! I'm interested in purchasing a VPS with 2.5GB of total RAM, for around $25 a month. I need a host that is able to provide a VPS able to withstand a custom mod-pack (with about 30-50 mods), a TeamSpeak server, and a website, with forums. I'd prefer if the host had easy access to support, especially live chat. I plan to dedicate 2GB of RAM to the Minecraft server, with the other 512MB of RAM going towards TS and the website. - Access to edit any file I see fit on my server, be that the internal environment of a Craftbukkit build or the files contained within the minecraft_server.jar. I got exactly the same problem. Factorization is not compatible with the latest forge. I told neptune, he'll fix it later today.